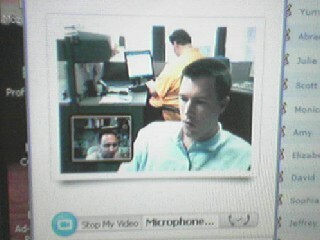 Matt and I have been testing video conferencing using Skype. During one test, the sound was a little choppy, so we used Google Talk for voice and Skype for the video. Worked out pretty good. Matt had an opportunity to say Hi to almost everyone in the office. He's well missed!